Helping women do business on the web since 2001! Here are the Benefits Women in Ecommerce offers to HELP you better manage your time, money and precious resources so you achieve the kind of results you expect from your online business and organizations. Now is the PERFECT TIME …to join a professional, incredibly committed group of women each working to help one another grow and prosper in the global economy. As a business woman you need to find and keep customers, grow your business and make a profit in order to fulfill your vision and grow a prosperous company or organization. Check out the Women in Ecommerce™ What’s New Page for a list of all the new resources available. Visitors can download a new resource when by clicking on the image above. Great concept and site. You have so much packed in here; it’s hard to leave. As always, the networking “goddess” does it again. I’m so glad to be a part of your many organizations since meeting you more than 15 years ago! Empowering Women with the Resources, Skills and Tools to Do Business on the WEB! Women Rocking the Web 2019! Savvy, Business Women who share the lessons they have learned and the successes they have experienced in their own business. With tips to better manage, market and manage your business both online and off the web. Heidi, your event was beyond magnificent. I was overwhelmed by the quality and quantity of information and ideas. Each and every woman presented from their life’s experiences and shared things that you normally don’t hear in everyday seminars. Your own personal testimony in addition added to the afternoon. You certainly do have an amazing gift for interviewing and sharing professional and personal information. Definitely pursue that. Women in Ecommerce has local, virtual and global events for women at every stage of their professional development; complete with calendar listing dates and times of upcoming events, deadlines, conferences and awards. 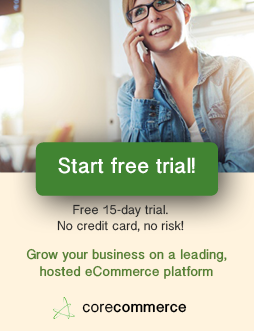 List Your Business in our Women in Ecommerce Business Directory for FREE! Premium Listings are also available to make your business stand out!